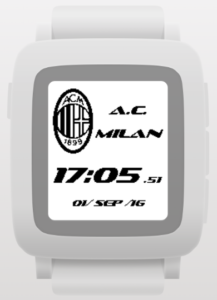 The watchface of team football A.C. Milan. 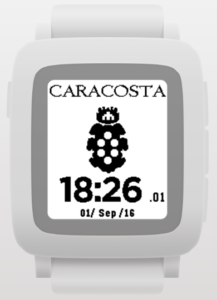 The watchface of historical group and flag wavers musicians “Le Fiamme di Caracosta”. 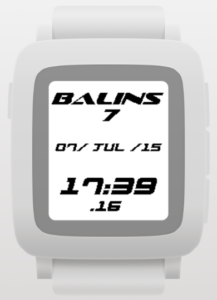 The watchface of my nick name of development.